Brushing your teeth at least twice a day, flossing every day, and scheduling a dental cleaning twice a year are all essential parts of your dental hygiene routine. However, if you are employing the wrong brushing techniques, not only may your teeth be inadequately cleaned, but you also may be putting your dental health at risk. Here’s what you need to know. Take your time. Many people rush through their brushing routines, but dental experts recommend that you brush for at least two minutes to remove as much plaque and bacteria residue from your mouth as possible. Pay attention. It is easy to go on autopilot while brushing your teeth, but if you aren’t paying attention, you may be missing areas of plaque buildup. Use a timer, if you need to, and ensure you are brushing all surfaces of your teeth, particularly around the gumline and chewing surfaces. Use the proper technique. Brushing side-to-side is common, but it can damage your enamel. Instead, use circular motions to clean all surfaces efficiently without scratching your teeth. Be gentle. Brushing too hard or using a hard-bristled brush can also damage your enamel or your gums. Use a soft-bristled brush, and avoid exerting too much pressure. Ask questions. Sometimes even the most efficient, enthusiastic tooth-brushers can find themselves perplexed by the latest advice on dental techniques. 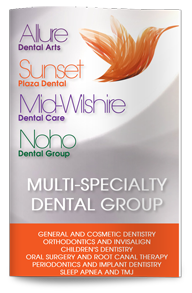 Our West Hollywood dentist is always ready and happy to answer any questions you may have. 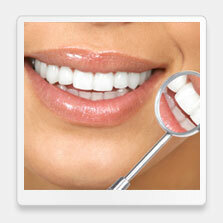 Give us a call today to schedule your consultation.